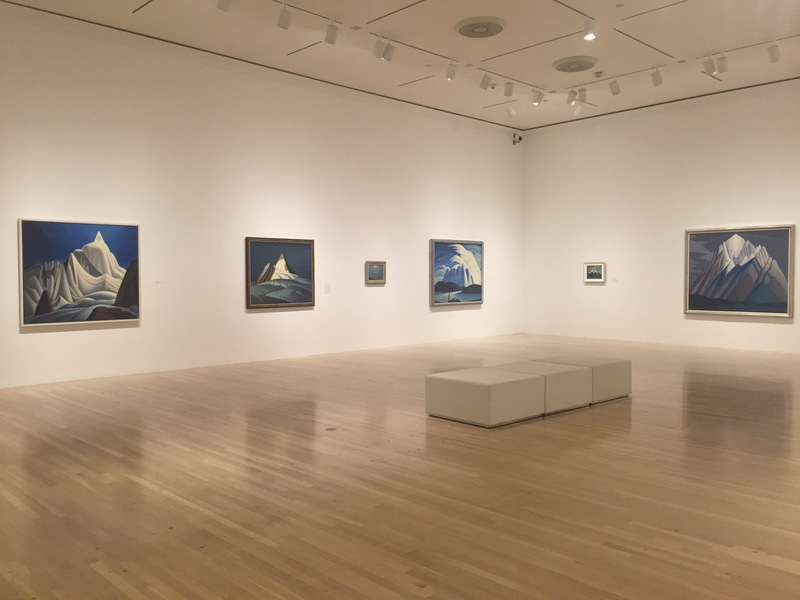 LOS ANGELES — Unless you’re Canadian or an art historian, chances are you’ve never heard of the Group of Seven. 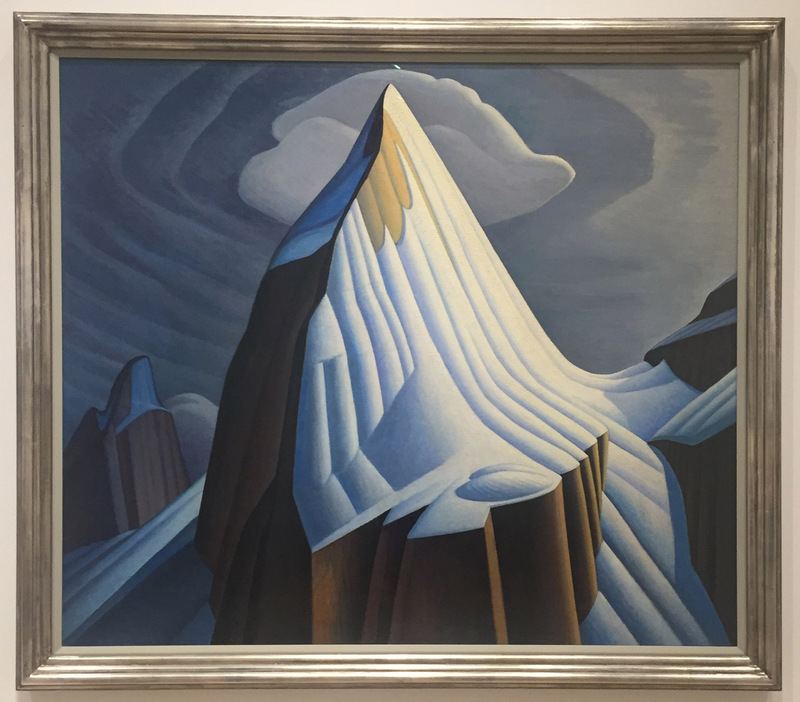 We Canadians are raised on a steady stream of early 20th-century paintings of mountains, forests, lakes, and tundra, all meant to evoke a nationalist fervor, a sense of pride. Yet outside of Canada, the mighty seven are hardly known. One American institution — in conjunction with a Canadian one, the Art Gallery of Ontario (AGO) — is intent on changing this state of ignorance, at least for one member of the group. 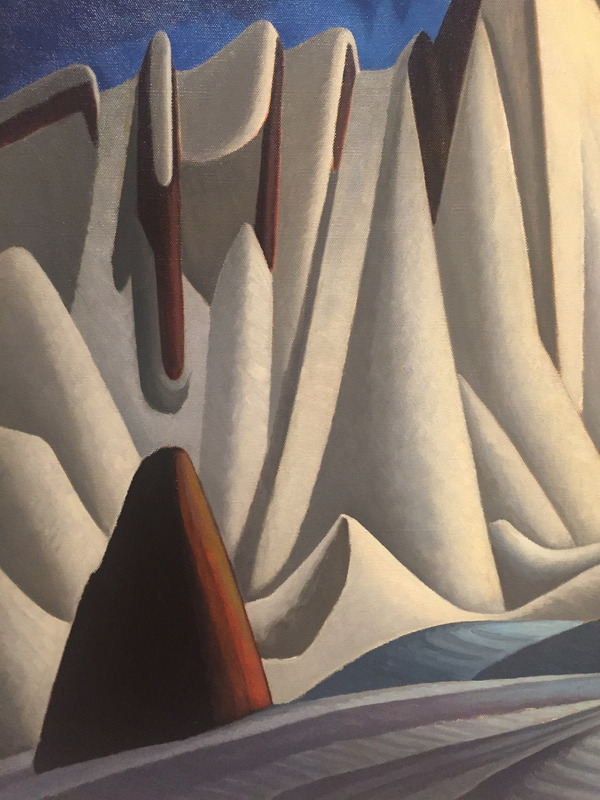 The Idea of North: The Paintings of Lawren Harris, currently on view at the Hammer Museum in the decidedly un-Arctic atmosphere of Los Angeles, aims to place Lawren Harris on par with some of the great modern masters of the last century, including Marsden Hartley and Georgia O’Keeffe. The exhibition’s origin story involves Hammer Director Ann Philbin discovering a Harris painting in the home of Steve Martin. The comedian and art collector curated the show in collaboration with Cynthia Burlingham and Andrew Hunter of the Hammer and AGO, respectively. There is something distinctly Canadian in the fact that it took an American celebrity to spearhead an initiative to give a Canadian artist his proper recognition. Harris, born to a wealthy family in Brantford, Ontario, in 1885, was a founding member of the Group of Seven (1920–33), a collective of artists committed to creating a school of Canadian painting and establishing a distinct national voice. 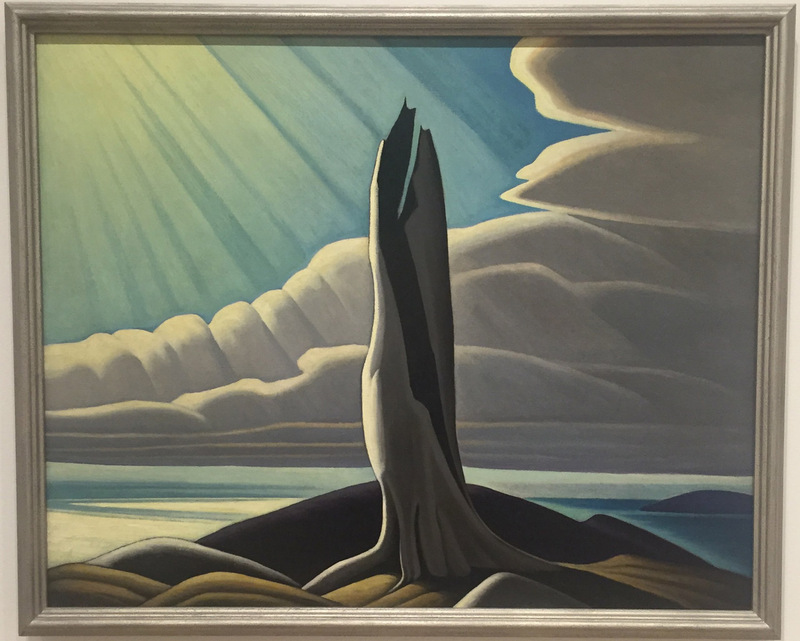 Their vision took the form of landscapes — lush forests, soaring mountains, sun-dappled lakes; above all else, nature was the lens through which an authentic Canadian identity was reflected. But what was once seen as nationalism can become a kind of regionalism, which is difficult for an artist to overcome. This show, according to Hunter’s catalogue essay, intends “to reach back and reset while introducing the work to a contemporary audience,” as well as “to defamiliarize and recontextualize” Harris’s iconic works. The Idea of North is a slice of Harris’s greatest hits from the 1920s to early 1930s. 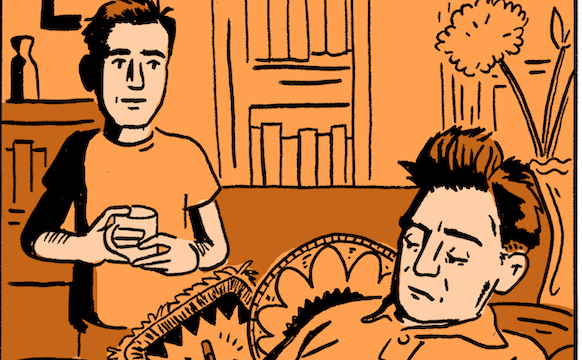 Why a prime cut and not a retrospective? Harris took a deep dive into Theosophy and transcendentalism in the mid-1930s, and art historians largely consider his later works abstractionist failures. The roots of this spiritual inclination are evident in the paintings on view at the Hammer, but they maintain a foundation in reality. 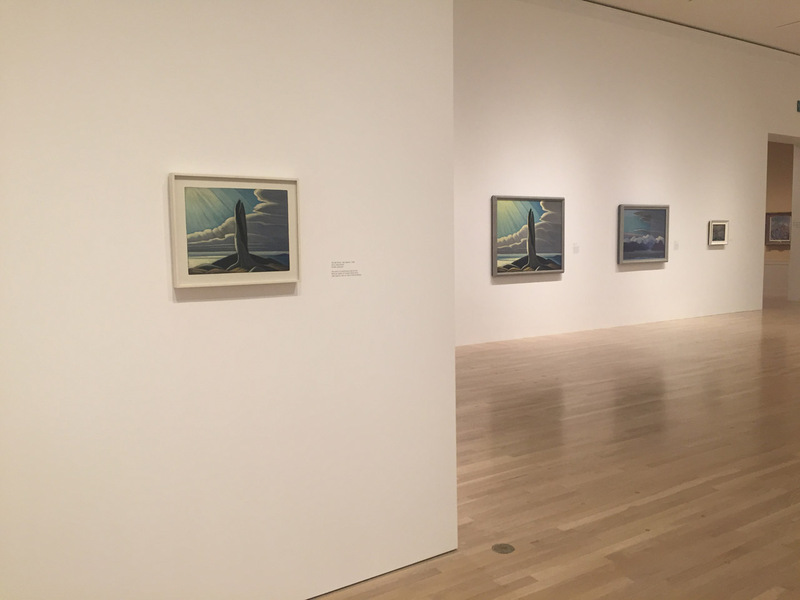 The exhibition focuses on three locations of particular interest to Harris: the north shore of Lake Superior, the Rocky Mountains, and the eastern Arctic, all of which he visited in person, on several occasions over the course of the 1920s. This makes for a stunning immersion in the icy blues, luminescent whites, slate greys, and verdant greens of the Canadian north. Mountain peaks, icebergs, and leafless trees take center stage in radically reduced compositions, with each element distilled to only its most essential parts. In Harris’s own words, he sought to translate nature “to its fundamental and purest form,” and at his best he achieved this with clarity and aplomb. The scale of the paintings lends them to this dual quality of representation and reduction. From afar, they awe; from up close, they become abstract amalgamations of cool colors and organic shapes. In addition to large-scale paintings, the exhibition includes preparatory oil sketches, which look like complete works unto themselves. Notably, these studies are not displayed alongside the final versions, but set in indirect conversation. 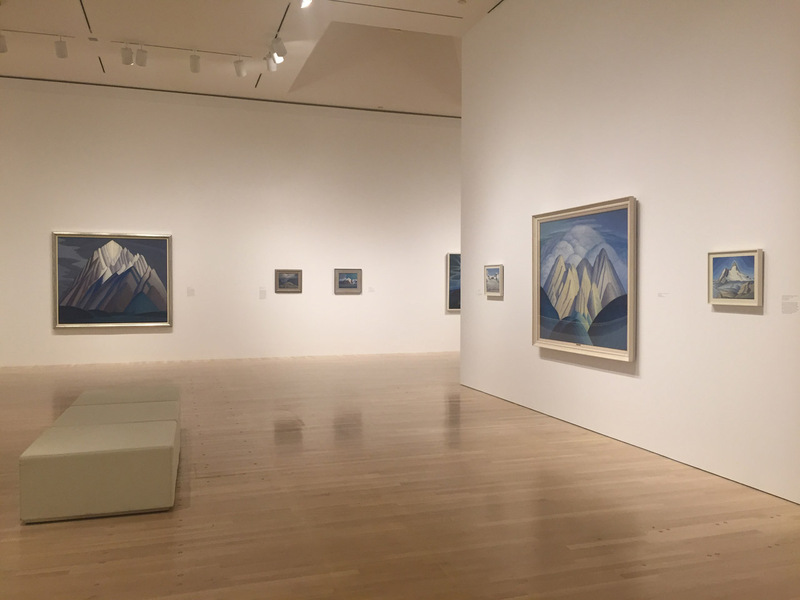 Looking from left to right at the gallery entrance, the peak of Mount Lefroy appears twice; the final work and oil sketch are set at a diagonal from each other. In contrast, the study for and accompanying painting of “North Shore, Lake Superior” (1926) are hung on separate walls yet can be viewed together from a distance. The starkly defined sun beams of “North Shore, Lake Superior,” and even more so “Lake Superior” (c. 1923), have a religious quality to them. In isolation, these paintings are striking, but I can see how exhibiting them alongside Harris’s later works would have the effect of diminishing their visual impact and heightening the risk of eliciting an almost hokey theatricality. Many of the strongest works result from Harris’s one and only Arctic expedition in 1930. He took photographs and created sketches of the frozen landscape, primarily from aboard the S.S. Beothic. “Icebergs, Davis Strait” (1930) is the Platonic ideal of an iceberg: monumental and majestic. The striated blues and whites form an architectural monolith that seems at ease in the lonely reaches of the ocean. 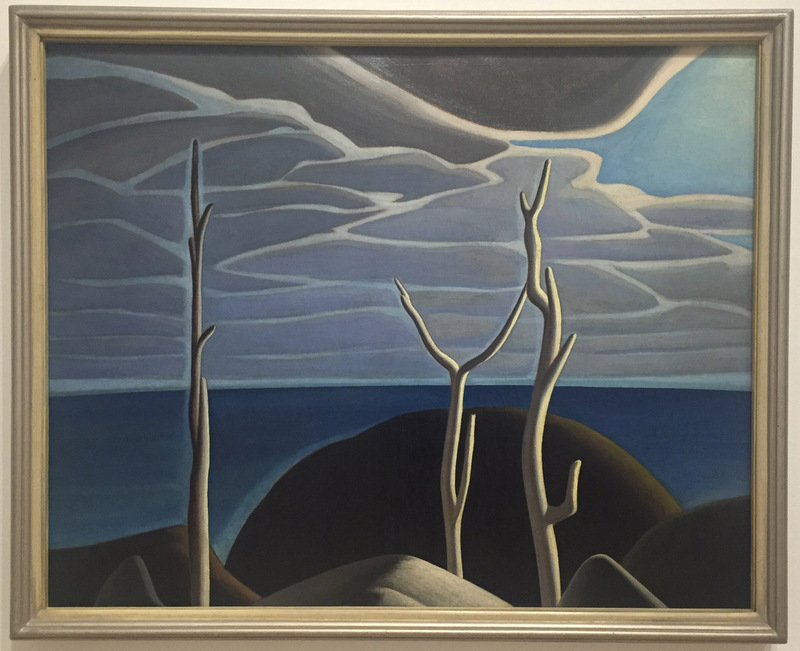 Perhaps the greatest takeaway from the exhibition is developing an appreciation for Harris in isolation from his Group of Seven peers. He truly was the most innovative among them, and his renderings of the Canadian landscape capture the sense of awe I feel when I go hiking in Banff National Park, the site of several Harris works. The experience of peering from painting to painting is so vivid, it’s akin to standing on a mountain and viewing the snow-capped ranges around you. Although I understand the curatorial choice to spotlight only Harris’s best works, the narrow focus of the show left me unconvinced of his genius as a whole. While there may not be a magic number of artworks required to qualify someone as a modern master, this exhibition of about 30 paintings feels a little thin. That said, The Idea of North is visually powerful. It thrilled me to see this artist’s paintings anew, outside the context of Canadian nationalism, and watch them take on a fresh life as compelling works beyond the border. 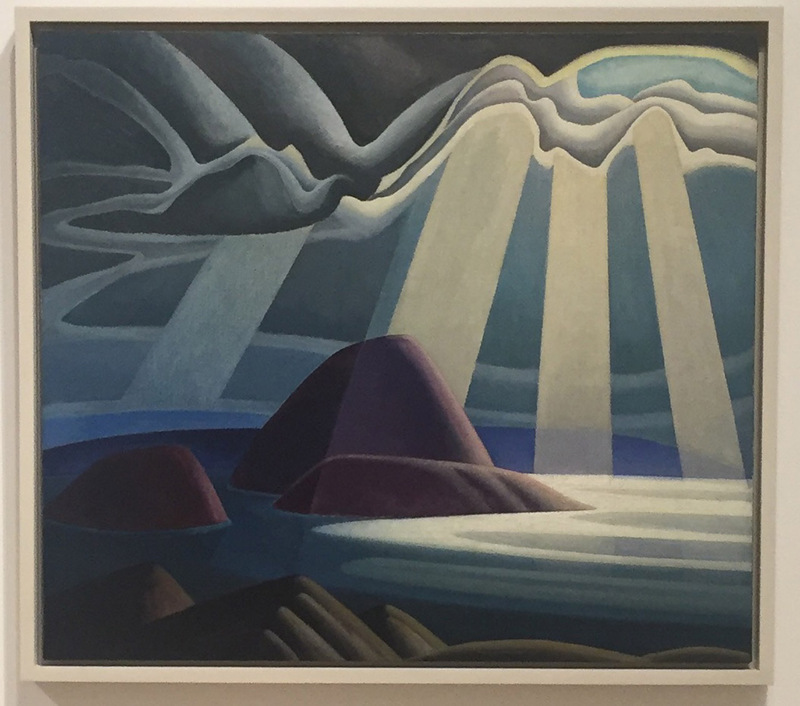 The paintings of Lawren Harris prove that Canadians have long produced exceptional art. It’s just taken Americans a while to notice. 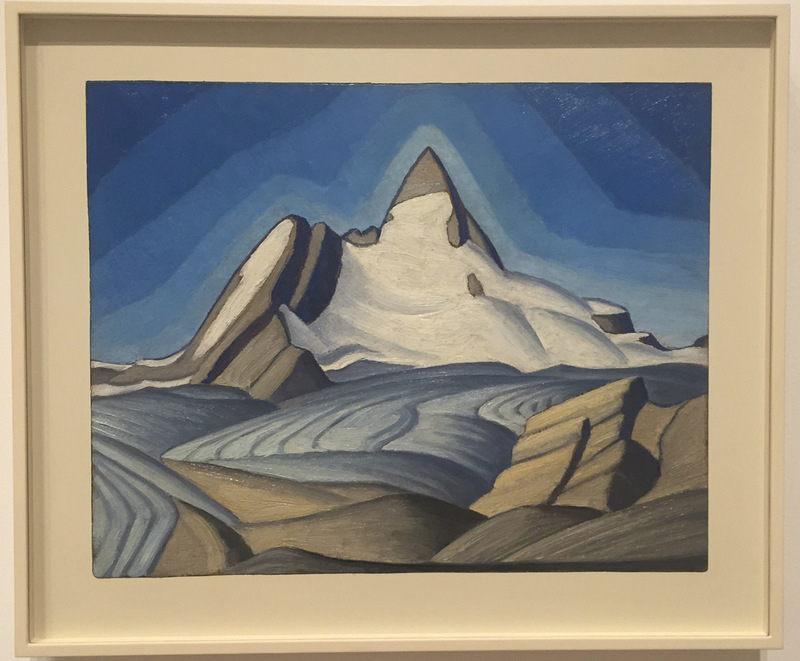 The Idea of North: The Paintings of Lawren Harris is on view at the Hammer Museum (10899 Wilshire Boulevard, Westwood, Los Angeles) through January 24. It opens at the Museum of Fine Arts, Boston, on March 12.